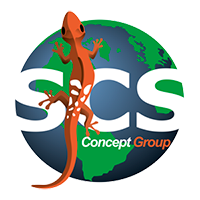 The SCS Concept Academy is an ISO 29990 certified international learning service provider. We offer you training in the field of bolted joints and fastening technology tailored to the individual needs of your employees. All individual qualification modules are based on the guideline VDI/VDE 2637 – part 1 “Qualification in fastening technology” and are implemented by classroom courses as well as blended learning concepts. Our portfolio includes more than 200 standardized practice-oriented training sequences, training on technical rules and legal requirements. On this basis, we compile the individual learning services for you according to the job profiles of your employees and take your company’s internal regulations into account at all times. determination of documentation requirements – Deviating from or supplementary to the specification of category, an additional documentation requirement may be applied. Important remark Tolerance specifications are not given normatively, for which reason internal specifications must be observed.